Whether it's for wholesale and trade clients, or family and friends, having the ability to apply automatic discounts to a specific group of customers is essential for most ecommerce stores. With OpenCart, the functionality to offer different customers different pricing is already included by default - you simply have to set it up with your required customer groups. 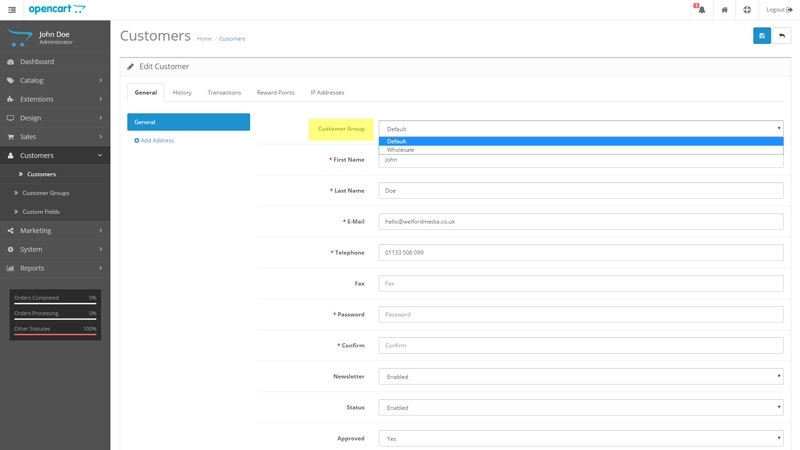 You can choose to collect additional information for certain customer groups using the Custom Fields section, and even use extensions to limit features and products to specific customer groups. 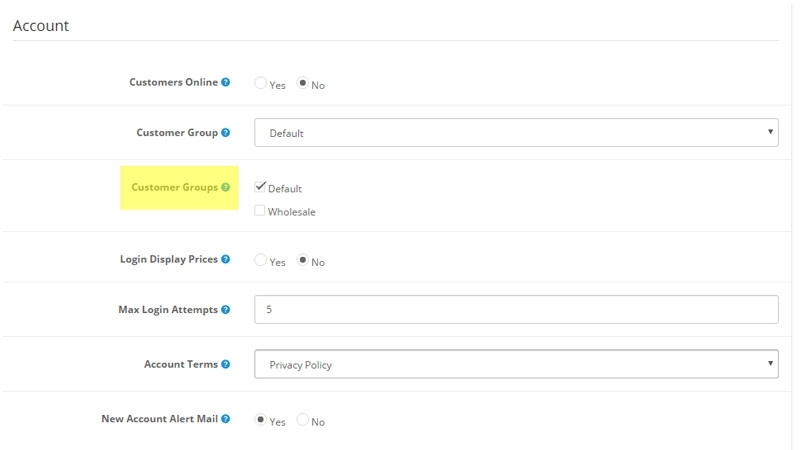 In this tutorial, we'll show you exactly how you can add new customer groups, how to give customers the option of choosing a customer group when registering, and how to manually assign customer groups to individual customers from within your OpenCart store admin area. In this example, we’ll set up a Wholesale customer group. 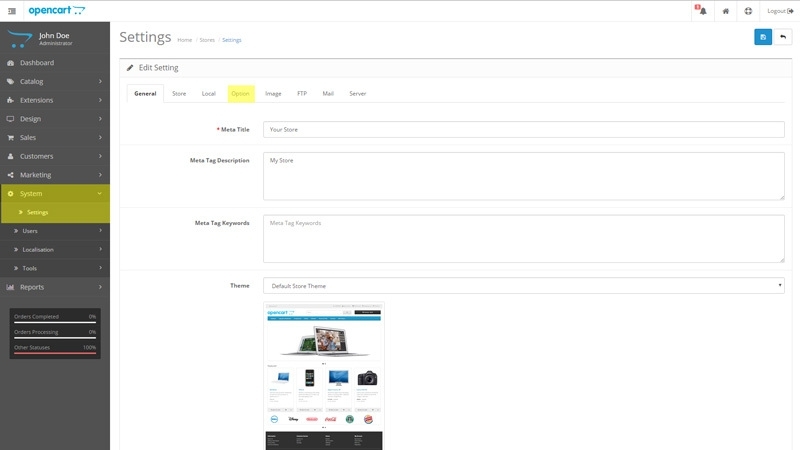 In your OpenCart store's admin area, go to Customers > Customer Groups. 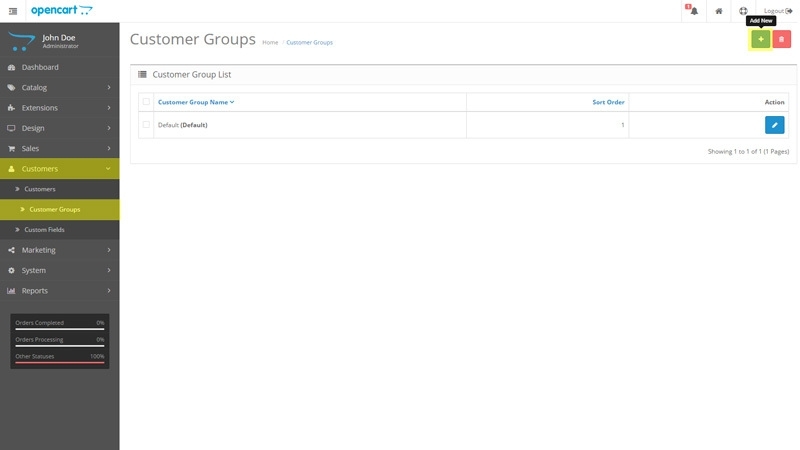 Here you'll be able to see a list of all of the customer groups you create, as well as which one is your default customer group. Now that the new Customer Group is created, you may want to offer this as an option for new customers when they register for an account on your OpenCart store. To do this, go to System > Settings > Edit and under the Option tab, scroll to Account and find the Customer Groups option. Here, you can tick the groups that are available for a customer to choose between when they register. If you don't want a customer to be able to join a certain customer group, leave that customer group unticked. If you don’t want to give the customer the ability to choose their own customer group, you can instead manually change individual customers to your new customer group from your store's admin area. 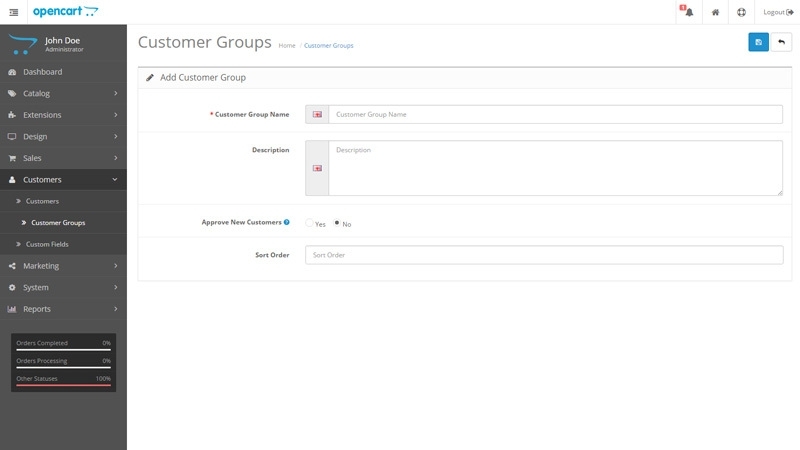 This can easily be done by going to Customers > Customers, edit the customer and then change the Customer Group option at the top of the General tab from Default to your new customer group. Now that your new customer groups are set up and assigned to your customers, it's time to choose what sales prices you'd like to assign to your products. 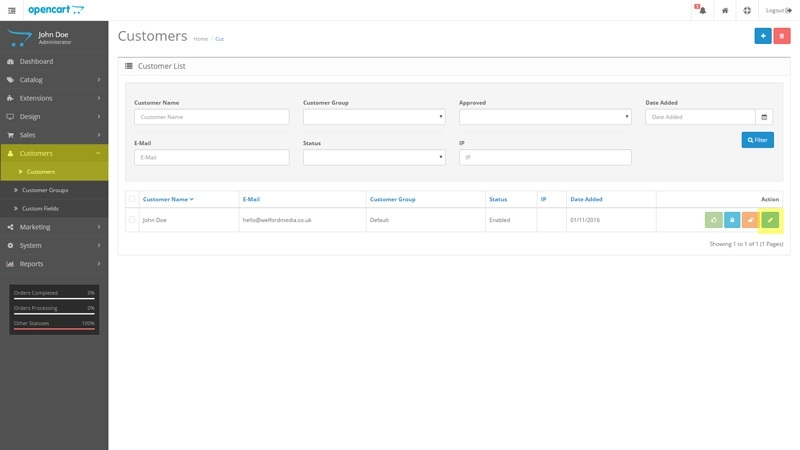 Check out our OpenCart tutorial on How to Add Sales Prices to OpenCart Products to see how to set specific sales prices for each customer group. Need a hand setting up your customer groups? No problem, simply get in touch with our team and we'll be more than happy to give you a hand.